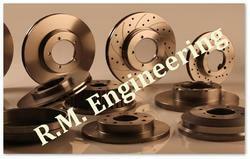 We are a trusted name to offer RM Brake Disc that is highly acclaimed for its accurate dimensions. Resistant to corrosion, it is widely considered among the huge client-base, we have reaped so far. Manufactured using high quality metals and alloys procured from the reliable vendors, the offered range of brake discs is resistant to wear and tear. 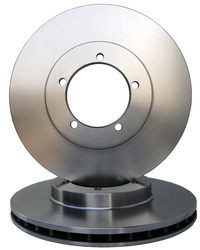 The Bolero Brake Disc that our company manufactures are of premium and superior quality. Breaks do not require any maintenance or adjustment once it is set. This Brake is normally in the applied (braking) condition. 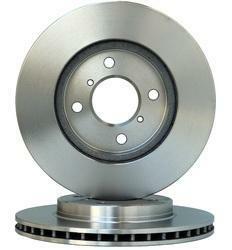 The Brake Disc for Audi Q7 that our company manufactures are of premium and superior quality. Breaks do not require any maintenance or adjustment once it is set. This Brake is normally in the applied (braking) condition. 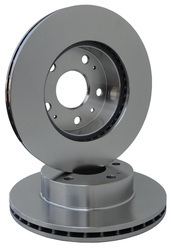 The Xylo Brake Disc that our company manufactures are of premium and superior quality. Breaks do not require any maintenance or adjustment once it is set. This Brake is normally in the applied (braking) condition. 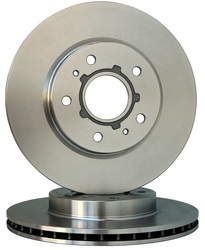 We bring forth precision engineered Tata Indica Brake Disc that is highly durable in its characteristics. Known for its accurate dimensions, it is highly demanded among the clients we have. Compatible with tata indica, it is highly demanded. Owing to the high-grade metals and alloys, obtained from credible vendors we assure the utmost quality of the offered range of brake discs. 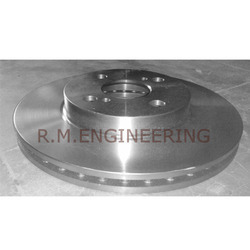 We are proficient in the manufacturing, supplying and exporting of Honda Civic Rear Brake Disc that is highly demanded for its easy installation. Manufactured using high quality raw materials, it is highly durable. Known for its dimensional accuracy, our offered range of honda civic rear brake is widely acknowledged among the client-base, we have accomplished to garner so far. We bring forth an outstanding array of Passenger Car Components, which is widely regarded for its resistance to abrasion. These are highly popular among the clientele we hold. Resistant to wear and tear, the range of car components offered by us is highly durable. Made available in varied sizes, these offered car components are capable of meeting the diverse requirements of our respected clients. The Brake Disc for S cross and SX4 that our company manufactures are of premium and superior quality. Breaks do not require any maintenance or adjustment once it is set. This Brake is normally in the applied (braking) condition. The Brake Disc for Swift Diesel/Petrol, Swift Dzire and Ritz that our company manufactures are of premium and superior quality. Breaks do not require any maintenance or adjustment once it is set. This Brake is normally in the applied (braking) condition.